Beats 1 is a multi-genre radio station for iPhone, iPad, Mac and PC that plays a wide variety of songs from indie and popular artists alike, but there is currently no way to identify tracks that have already been played in realtime. To solve that problem, web apps developer Callum Jones has created an unofficial Twitter account that live tweets songs as they are played on Beats 1 Radio (via The Next Web). The new Twitter account is aptly named "Beats 1 Plays" and makes a single tweet each time a track is played on Apple's live 24/7 global radio station, including the name of the song and artist with a #Beats1 hashtag. Simply follow the account on Twitter and you will no longer have to worry about missing out on what is playing while you are not tuned in. 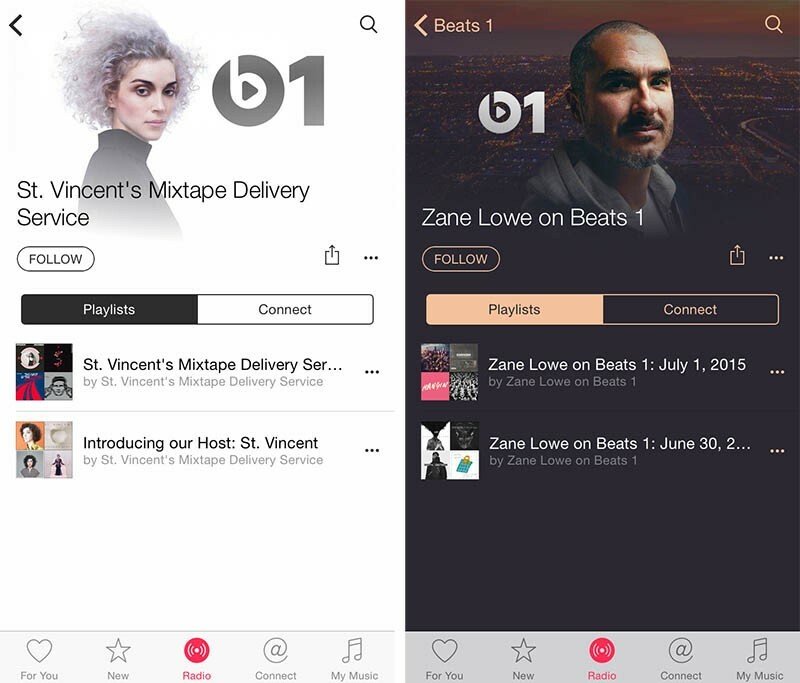 Beats 1 does offer archived playlists of songs that aired during the radio station's featured shows anchored by DJs such as Zane Lowe, Julie Adenuga and Ebro Darden. To access those playlists, open Apple Music, tap on the Radio tab, open the Beats 1 radio station, scroll down and select a featured show and tap on the Playlists tab. Wow - they play the same garbage that the local radio station plays. Who knew that a global radio station would bring such diversity. follow the account ('https://twitter.com/Beats1Plays') on Twitter and you will no longer have to worry about missing out on what is playing while you are not tuned in. Come on, really? Perfect opportunity to use the phrase missing a beat and you squandered it. If this developer can stay awake 24/7 or has someone who can take a shift than that would be great. I highly assume it's automated. There are many similar Twitter accounts for SiriusXM and other radio stations. Wow a playlist! How is this newsworthy? Considering the question of what has been playing on the station and when has come up a number of times just here in the forums seems like this would be something of interest to some at least. It's something new related to a new Apple service, seems to fit in with the definition of news. What does it matter if you know the song, considering they will most likely play it again within the next hour? You nailed it. I was hoping for some international music, instead I think I'm listening to BBC 1 at times. Naturally the next step here is to write a script which automatically takes whatever is playing on Beats 1 and funnels it into a public Spotify playlist. Whenever it plays an Apple Music exclusive, it can sub in a Spotify exclusive instead. Come now, you merely beat him to it.